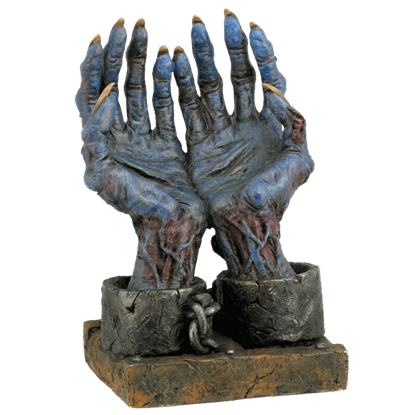 Perhaps it is time for you to spice up your current motif with a daring accent like the Chained Zombie Hands Figurine. This playful item can be a great conversation started when your company sees this proudly displayed within your home. Cutting down a zombie does not mean that you have taken care of the creature. In fact, now you might have just created a crawler! 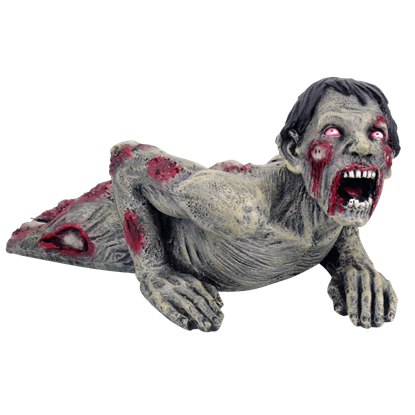 This Crawling Zombie Statue is a good reminder that a zombie without legs is still a threat. 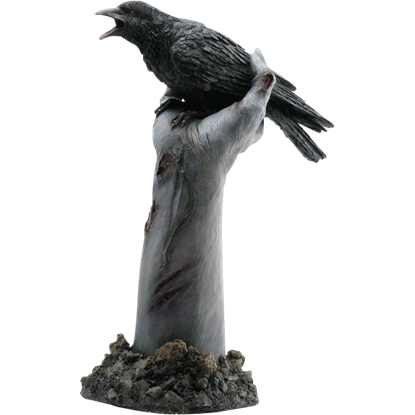 Resting upon an arm once wrought with rigor, the crow feels the fingers tighten as he lets out a CAW in the Crow on Zombie Hand Statue. Crafted from polystone, a rotted arm has grabbed a crow, and seems poised to make a meal of him. There is still something of a debate as to which zombie is scarier, the slow one or the fast one. The Dashboard Zombie is neither. 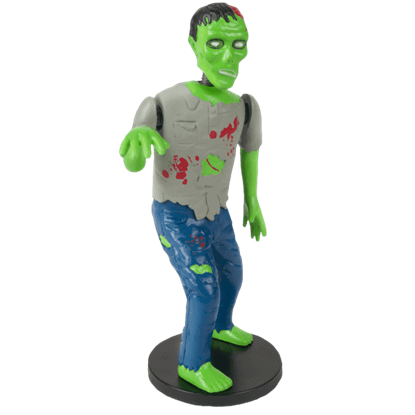 Instead of chasing you, this zombie is perfectly content to just sit and waggle its arms at you. You may want to politely decline if this housewife invites you to stay for supper. 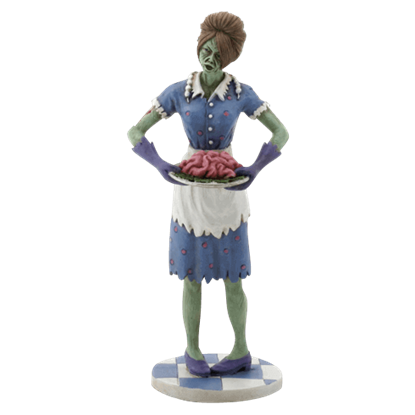 The Dinner is Served Zombie Housewife Statue depicts an undead woman bearing a meal worthy of her zombie state - brains! Dangerous when alive, pirates make particularly bloodthirsty zombies as their greed for gold transforms into hunger for flesh. 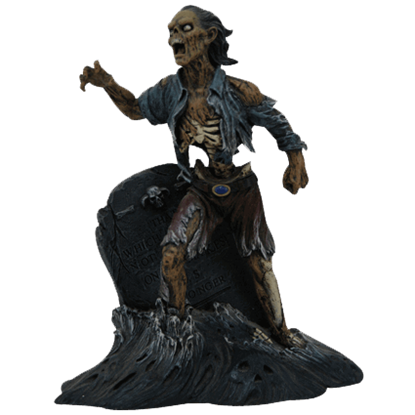 The From the Grave Zombie Pirate Statue depicts a zombie pirate rising from his watery grave. 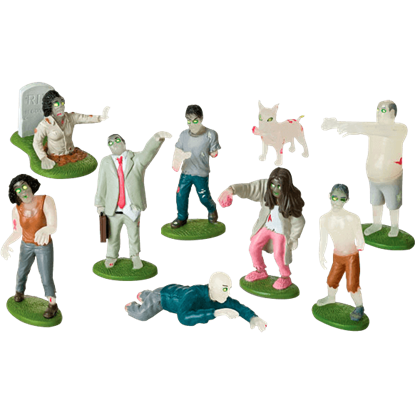 Your tyke will be the terror of his playground with this Glow In The Dark Flesh Eating Zombies Play Set. This disturbing and amusing toy is designed to attack, overrun, and maul any and all other toys that stumble into its midst. What was beautiful in life is now terrifying in death! 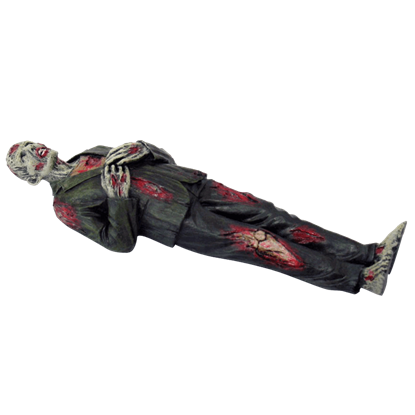 This Graveside Zombie Girl Statue depicts a modern ghoulish girl as she drags herself out of the grave and across the soil as a zombie that hungers for human flesh. 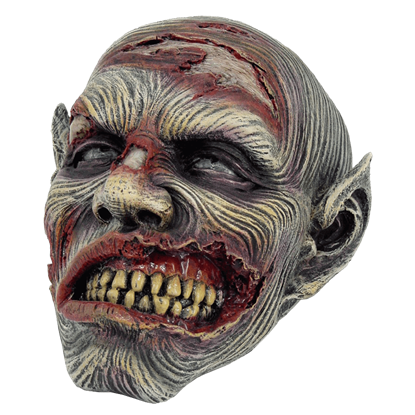 Part of the horror of zombies exists in their rotting flesh. 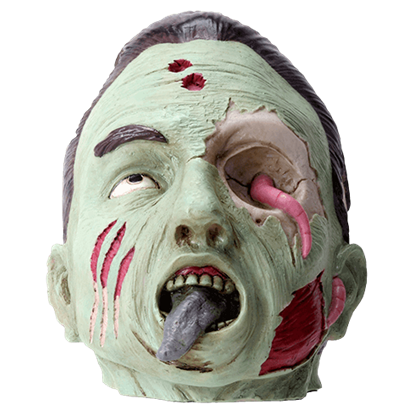 The Green Zombie Head depicts a grotesque face of the animated dead with various bloody wounds, a worm weaving through an eye and ear, and a gray tongue. Once upon a time, busts were an artistic medium perfect for reproducing the likeness of another. 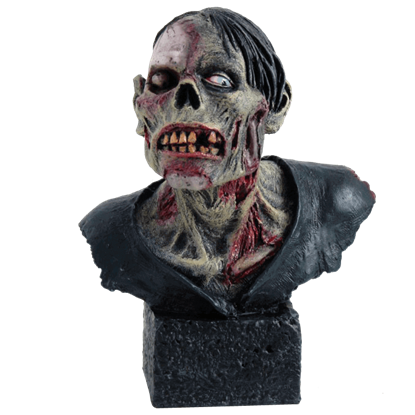 In a world gone zombie, though, few likenesses are remembered, so the most common bust to see would have to be the Grimacing Zombie Bust!